I recently finished reading A Mercy by Toni Morrison. A powerful tragedy distilled into a jewel of a masterpiece by the Nobel Prize–winning author of Beloved and, almost like a prelude to that story, set two centuries earlier. In the 1680s the slave trade was still in its infancy. In the Americas, virulent religious and class divisions, prejudice and oppression were rife, providing the fertile soil in which slavery and race hatred were planted and took root. Jacob is an Anglo-Dutch trader and adventurer, with a small holding in the harsh north. Despite his distaste for dealing in “flesh,” he takes a small slave girl in part payment for a bad debt from a plantation owner in Catholic Maryland. This is Florens, “with the hands of a slave and the feet of a Portuguese lady.” Florens looks for love, first from Lina, an older servant woman at her new master’s house, but later from a handsome blacksmith, an African, never enslaved. There are other voices: Lina, whose tribe was decimated by smallpox; their mistress, Rebekka, herself a victim of religious intolerance back in England; Sorrow, a strange girl who’s spent her early years at sea; and finally the devastating voice of Florens’ mother. These are all men and women inventing themselves in the wilderness. A Mercy reveals what lies beneath the surface of slavery. But at its heart it is the ambivalent, disturbing story of a mother who casts off her daughter in order to save her, and of a daughter who may never exorcise that abandonment. Acts of mercy may have unforeseen consequences. 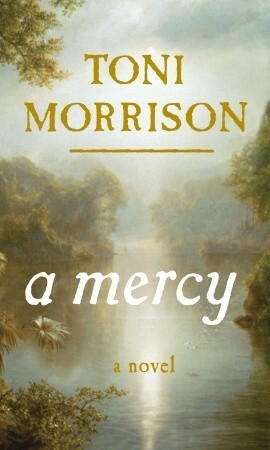 I read Morrison's novel Beloved years ago (in high school actually, I think). While I don't really even remember what the story line was, I do remember loving the lyrical writing style. I was a little worried as I started the first chapter as it begins in the voice of Florens, whose dialect is extremely thick. I wasn't sure I'd make it through the whole book in that voice. However, I soon discovered that the voice changes with each chapter and while each is unique, none are quite as difficult as Florens. With that said, even her voice became easier to read (and more lyrical) as the characters and plot lines developed. Wild is certainly a good word to describe the place and time of this book. While there are certainly examples of goodness and hope in both events and people, there are also a strong presence of corruption and despair as well...the true dichotomy of life in this earlier period of development in our country. While it's nice to have a nice tidy, happy ending, you won't find it in this novel. 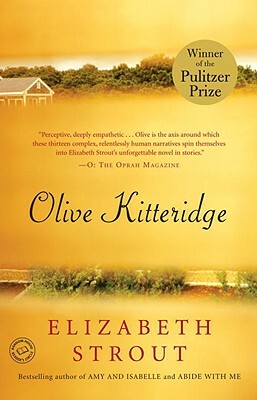 What you will find is a novel that is though-provoking and beautiful in its complexity of character and plot.